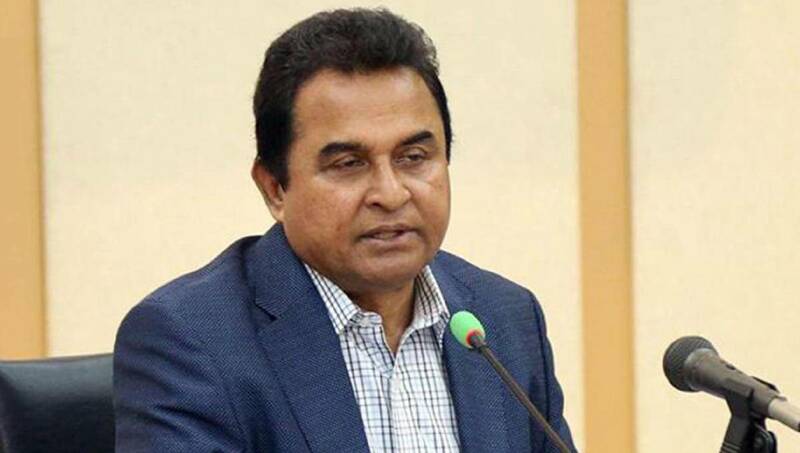 Finance Minister AHM Mustafa Kamal said the gross domestic product (GDP) growth is set to reach 8.13% this fiscal year. He said: "Our GDP growth has broken all the previous records in the history of the country’s economy. The rate will hit 8.13 percent at the end of this fiscal year." He made the disclosure while releasing a provisional estimate during the NEC meeting at the NEC conference room with Prime Minister Sheikh Hasina in the chair. He further said: "The per capita income in the country has now risen to US$ 1909 from US$ 1751. And the investment ratio to GDP will stand at 31.57%--8.17% public and 23.40% private investment-- at the end of the current fiscal year." In the 2017-'18 fiscal, the GDP growth was 7.86% while the investment ratio to GDP was 31.13%. He said: "Our GDP growth has broken all the previous records in the history of the country’s economy. The rate will hit 8.13 percent at the end of this fiscal year."